You helped the University of Michigan do it again! The fourth annual Giving Blueday took place on 11/28/17. It was a tremendous success, and funds raised are already positively impacting students on campus. Every Club Sports team on campus participated, which will help support their pursuit of National Championships. "Michigan Active Citizens: Alternative Spring Break" made significant progress on their annual fundraising goal, and will travel in the near future to 20 sites across the country to expand partnerships. More than 4,000 funds and areas on campus received financial support. Multiple challenges and matching initiatives inspired many new and returning donors to donate. Thank you for your support on Giving Blueday for the U-M bicentennial and beyond, as we all work to ensure the success of the current and future "leaders and best." 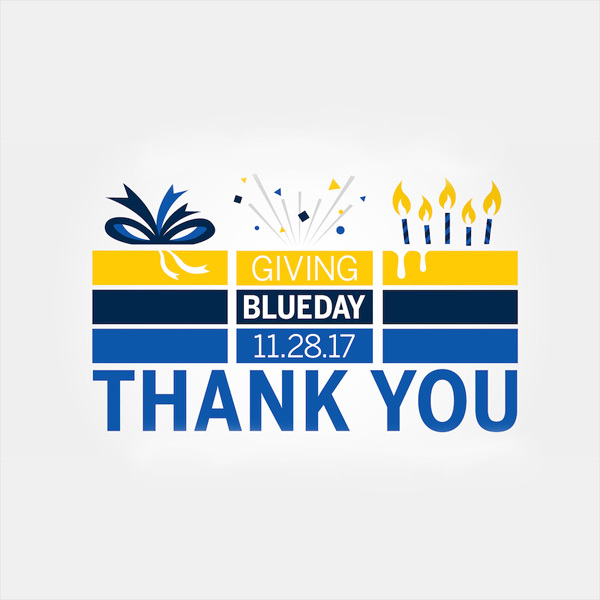 To learn more about how Giving Blueday is positively impacting our campus community, see Giving Blueday Impact.